UPDATE: A section of the Conservative government's proposed online surveillance law would create a team of "inspectors" who would be allowed virtually unfettered access to Internet providers' networks without a warrant, according to a news report Friday. Section 34 of the bill states that "government agents may enter an ISP when they wish, without a warrant, and demand to see absolutely everything — including all data anywhere on the network — and to copy it all," the CBC's Terry Milewski reports. Milewski notes that Section 33 of the bill allows the Public Safety minister to "designate persons or classes of persons as inspectors for the purposes of the administration and enforcement of this Act." Writes Milewski: "So we're not talking about police officers necessarily. We're talking about anyone the minister chooses — or any class of persons. (Musicians? Left-handed hockey players? Members of the Conservative Party? Sure, that's absurd — but the bill allows it...)"
Milewski described the provisions as "Orwellian." OTTAWA - The government's online surveillance bill — already hitting snags over privacy — is raising concerns among Internet providers about who'll pick up the tab. The legislation would allow authorities access to Internet subscriber information — including name, address, telephone number and email address — without a warrant. It would also require telecommunication service providers to have the technical capability to enable police and spies to intercept messages and conversations. The price tag for carriers could be significant, and it's unclear what kind of compensation will be offered, said Bernard Lord, president of the Canadian Wireless Telecommunications Association. "These new undertakings could generate significant costs, and the question remains whether the government will compensate those costs," Lord said in an interview. 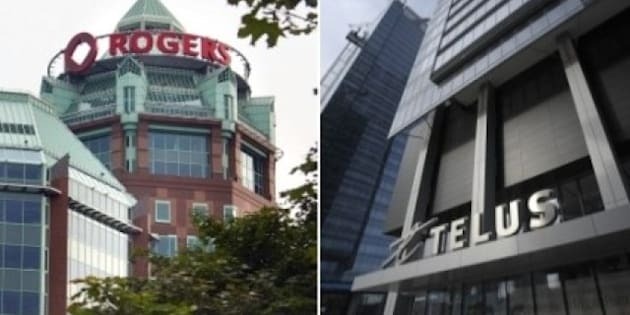 The association represents companies including Bell Canada, Rogers Communications and Telus, which provide wireless services to millions of Canadians. "I don't think we should ask law-abiding citizens that are using Internet services or wireless services to pay more on their bills because the government decides that the police needs extra tools to investigate," Lord said. The government says the legislation contains provisions that would "minimize the cost to service providers" when fulfilling their obligations. The bill requires the new interception capabilities to be included only in newly installed equipment. In addition, there would be an 18-month transition period allowing providers adding new equipment and services time to plan, test and integrate the needed features. There would also be compensation to telecommunications providers for providing police and the Canadian Security Intelligence Service basic subscriber information, and for technical support to authorities performing interceptions. Meetings to discuss compensation are planned over the next several weeks with officials from the departments of Public Safety, Justice and Industry, said Tom Copeland, chairman of the Canadian Association of Internet Providers, which represents small- and medium-sized companies. "The feeling of the association is that if the government wants this capability then it's up to the government to carry the cost," Copeland said. "Certainly we don't have any details on things like the cost, the potential compensation. So as a result we don't know what the impact might be on us financially or ultimately on our customers." Copeland, who runs an Internet provider in Cobourg, Ont., said he's skeptical the bill is even necessary. "There's been no demonstrable proof that it's needed," he said. "It's hard to imagine that we need this overarching new piece of legislation to help them." Copeland said he's had only one request from authorities for a customer's name and address in the 17 years he's been in business. "I may go another 17 years before I get another request. The value in this is questionable when you consider that, even for a small provider like myself, I may be forking out tens of thousands of dollars to become compliant." Under fire from opponents — including some Conservative backbenchers — concerned about the bill's implications for personal privacy, the government has promised to send it directly to committee, skipping second reading in the House of Commons, for a wide-ranging review. During question period Thursday, Liberal MP Ralph Goodale pressed the government to commit to full and open hearings. Public Safety Minister Vic Toews said that "amendments can be considered, and will be considered, by the committee, whether they are within the scope of the legislation or outside the scope of the legislation. It is a very broad referral." Liberal MP Sean Casey tried to make a point about the bill's potential intrusiveness by using the Commons question paper to demand information about websites Toews and Justice Minister Rob Nicholson visited on their government-issued devices during the first two weeks of February. Indeed, Toews has faced pointed and personal criticism for leading the federal charge on the bill, with an anonymous Twitter user dishing out salacious details of the minister's divorce proceedings this week. On Thursday, the popular social media site featured a deluge of Tweets labelled #TellVicEverything. Tweeted one user: "I spend a lot more work hours than I should on Twitter — but you probably already knew that."